I fear my patience with World's Finest has finally worn out. Generally, I've enjoyed this book and I've found Paul Levitz's take on Huntress and Power Girl to be enjoyable. 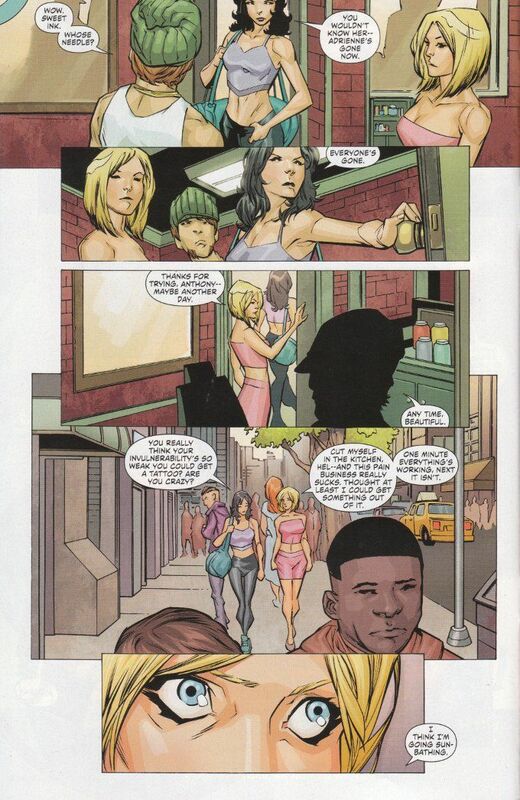 I've especially liked how he made an effort to include small moments that revealed the characters in each issue, showing the character's personalities outside of their lives as superheroes. That being said, it's become apparent that Levitz is being forced to tread water while DC Editorial figures out exactly what it wants to do with these characters in the grand scheme of either Earth 1 or Earth 2. 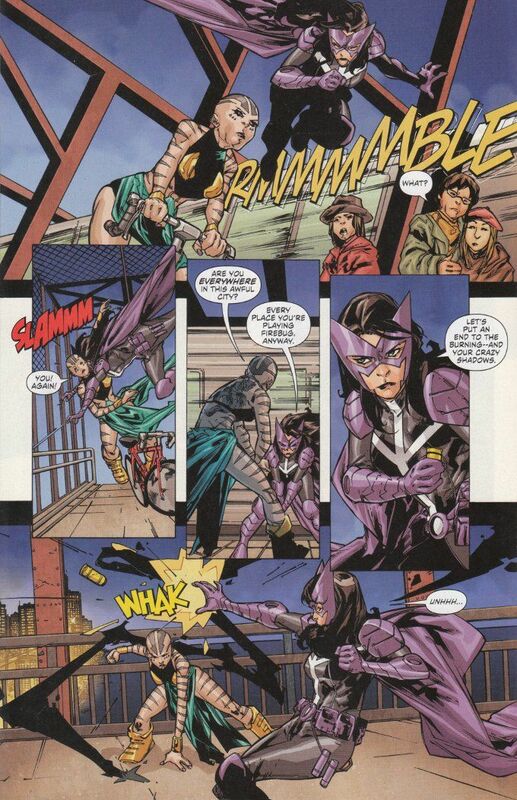 Why else would the on-going plot of Power Girl's quest to get home be neutralized in favor of her randomly losing her powers while Huntress suddenly becomes obsessed with a super-powered killer who is targeting fashion shows? Even with part of this story taking place inside of the villain's mind, we're still no clearer on her motives and the whole affair feels very repetitive after last month. The artwork is a larger issue. To be quite blunt, Scott McDaniel and R.B. Silva are completely incompatible as artistic partners. McDaniel's sketchy style is an acquired taste and while his work looks quite good in close-ups, it loses all charm and detail in the mid-range and long-range. Silva is a good detail-oriented artist, but his strengths lie in depicting rounded, cartoonish figures. For him to try and ape McDaniel's more angular style is a disservice to them both.